Black Friday Shopping for Pickleball??? 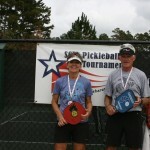 When I started playing pickleball five years ago it was tough enough to find and buy a pickleball paddle online, let alone a pickleball shirt or pickleball hat. Wow how times have changed. 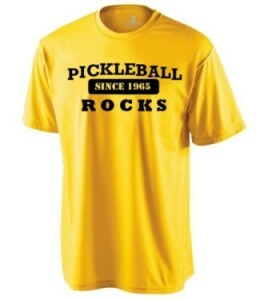 Likewise you now can find and buy all kinds of tshirts and other pickleball gear right from the comfort of your home. Well, today takes the cake. A Black Friday Sale for pickleball shoppers. It is being advertised all over the internet, from Facebook to Twitter to Hubpages: starting at 12:01am est tonight (November 23rd), pickleball has their first Black Friday sale ever. 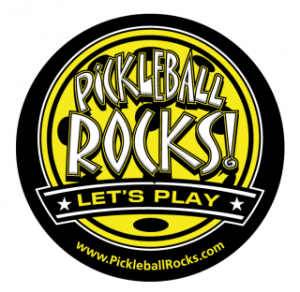 At the new shopping website, PickleballChristmas.com you get a FREE 6 inch “Pickleball Rocks” car magnet with any purchase. And the selection of pickleball stuff there is amazing. Really cool dri fit shirts for guys and gals (you should see the Power Pink V Neck Tee for the ladies), as well as coolers, water jugs and even “Pickleball Rocks Since 1965” chairs. 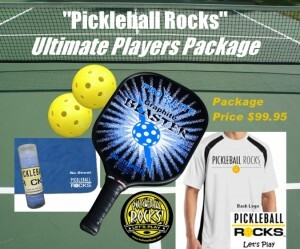 There is even a couple of christmas paddle / shirt packages that make it really easy to buy for your pickleball friend or spouse. Shopping for pickleball stuff just got a whole lot funner. Following a month of fundraising activities, the Sun City Carolina Lakes Pickleball Club presented a check for $15,000 to “Hope For The Warriors” chairman, Jack Marin. In a true showing of compassion and teamwork, the SCCL Pickleball spent the month holding raffles, silent auctions and a pickleball marathon. 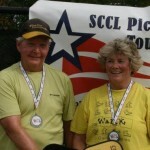 Then to top it off they held their second annual pickleball tournament with the goal to give it all away. 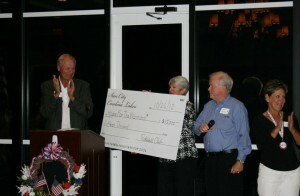 This year’s beneficiary was the great organization, Hope For The Warriors. This fine organization is dedicated to providing hope and assistance to our service members and their families. 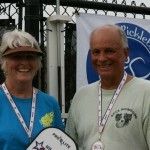 107 excited pickleball players showed up to participate in the 154 matches held during the two day tournament. 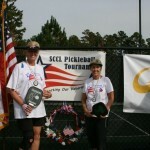 We at Pickleball Rocks wish to congratulate Donna, Rick, Sue and their whole pickleball fundraising team for such a generous effort. Pickleball Clubs everywhere should take note. We also want to toss some kudos to Neil Friedenburg and Pro-Lite Sports for creating and donating the very cool custom paddle for the raffle. Congratulations to all. You are all winners!